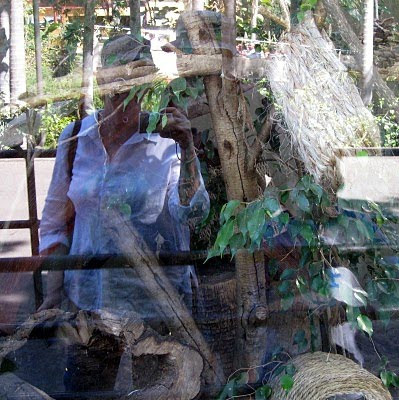 During our visit to the San Diego Zoo, I caught Bob, Oden and I reflected in an exhibit. Yours is such a very clear and colourful reflection! You were obviously enjoying a great day. Cool reflection at a great place. On my walk through Centennial Park today, I struck up a conversation with a woman who has an annual pass to our city zoo, Taronga. I will investigate this for myself. I want to go more often but each visit is about $40 and I might only stage for 2 hours. I like this very unique reflection photo! It looks like you had a wonderful time in a beautiful place.